Science Direct and ACM online journals are now available! In addition to the E-Open Access Reference Sites in the E-Reference Portal, we provided you an Annotated Bibliography of Reference books from 2000-2008 at the Download Section of Engglib2 website. A hard copy is also available at the Circulation Section of the library. If you have any question, you can ask our Reference Librarian via chat at the E-Reference Portal of Engglib2 website or email at library@engglib2.upd.edu.ph. Apple’s Latest Gear : What’s in it for you? This book directly addresses this need. As in earlier editions, E.R. Davies clearly and systematically presents the basic concepts of the field in highly accessible prose and images, covering essential elements of the theory while emphasizing algorithmic and practical design constraints. In this thoroughly updated edition, he divides the material into horizontal levels of a complete machine vision system. Application case studies demonstrate specific techniques and illustrate key constraints for designing real-world machine vision systems.This work: includes solid, accessible coverage of 2-D and 3-D scene analysis; offers thorough treatment of the Hough Transform – a key technique for inspection and surveillance; brings vital topics and techniques together in an integrated system design approach; and, takes full account of the requirement for real-time processing in real applications. .
Building embedded Linux systems, 2nd ed. Updated for the latest version of the Linux kernel, this new edition gives you the basics of building embedded Linux systems, along with the configuration, setup, and use of more than 40 different open source and free software packages in common use. The book also looks at the strengths and weaknesses of using Linux in an embedded system, plus a discussion of licensing issues, and an introduction to real-time, with a discussion of real-time options for Linux. As it is with building a house, most of the work necessary to build a data warehouse is neither visible nor obvious when looking at the completed product. While it may be easy to plan for a data warehouse that incorporates all the right concepts, taking the steps needed to create a warehouse that is as functional and user-friendly as it is theoretically sound, is not especially easy. OpenGL Graphics Through Applications is a practical introduction to Computer Graphics with an emphasis on understanding through practice. Throughout the book, theory is followed by implementation using C / C++ and complete programs are provided on the Springer website. A procedural approach has been taken to algorithmic development while taking an object oriented approach when building artefacts from simple objects. The book covers a range of topics including: (1) image processing, (2) artefact construction, (3) introductory animation, (4) texturing, (5) curves surfaces and patterns. Beginning game programming, 2nd ed. Develop the essential skills you need to take your game ideas from concept to reality! Whether you want to create simple games for your own enjoyment or you are ready to create prototypes that will help you get your foot in the door professionally, Beginning Game Programming, Second Edition contains the techniques to help you reach your goals. If you have a basic understanding of C, this unique guide covers everything you need in order to create your own 2D and 3D games in C and DirectX 9. You’ll learn how to develop each element of your game– from creating your own 3D models and loading them with DirectX 9 code to enhancing the artwork and creating sound for your game. Using the skills you learn within each chapter, you’ll develop your own game library– a tool which reaches far beyond the pages of this book and can be used for future game projects. Put each of your newfound skills to use as you create your own complete, fully functional 3D game, using collision detection, with real 3D models. If you’re ready to turn your ideas into actual games, then your journey begins here! As one of the fastest growing technologies in our culture today, data communications and networking presents a unique challenge for instructors. As both the number and types of students are increasing, it is essential to have a textbook that provides coverage of the latest advances, while presenting the material in a way that is accessible to students with little or no background in the field. Using a bottom-up approach, “Data Communications and Networking” presents this highly technical subject matter without relying on complex formulas by using a strong pedagogical approach supported by more than 700 figures. Now in its Fourth Edition, this textbook brings the beginning student right to the forefront of the latest advances in the field, while presenting fundamentals in a clear, straightforward manner. Students will find better coverage, improved figures and better explanations on cutting-edge material. 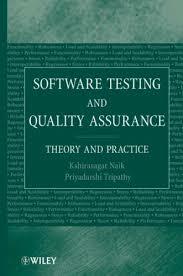 This book presents an integrated technology, Design for Trustworthy Software (DFTS), to address software quality issues upstream such that the goal of software quality becomes that of preventing bugs in implementation rather than finding and eliminating them during and after implementation. The thrust of the technology is that major quality deployments take place before a single line of code is written! This customer-oriented integrated technology can help deliver breakthrough results in cost, quality, and delivery schedule thus meeting and exceeding customer expectations. The authors describe the principles behind the technology as well as their applications to actual software design problems. They present illustrative case studies covering various aspects of DFTS technology including CoSQ, AHP, TRIZ, FMEA, QFD, and Taguchi Methods and provide ample questions and exercises to test the readers understanding of the material in addition to detailed examples of the applications of the technology. The book can be used to impart organization-wide learning including training for DFTS Black Belts and Master Black Belts. It helps you gain rapid mastery, so you can deploy DFTS Technology quickly and successfully. Place of Publication Upper Saddle River, N.J.. Written in an accessible, conversational style, this comprehensive introduction to usability engineering takes a project-based approach to the development process. Provides detailed coverage of the fundamentals without unnecessary depth or breadth, focusing readers on understanding the goals and process of usability engineering. Covers the entire usability engineering lifecycle, emphasizing select techniques and methodologies. Illustrates the user interface development process with examples from a medium-scale development example. For anyone interested in learning more about usability and user interfaces in computer systems and software. Guide to computer forensics and investigations, 3rd ed. Place of Publication Boston, Mass. :. This text will teach readers how to conduct a high-tech investigation, from acquiring digital evidence to reporting its findings. Coverage includes how to set up a forensics lab, how to acquire the proper and necessary tools, and how to conduct the investigation and subsequent digital analysis. The comprehensive coverage and detailed know-how led to the book being listed as recommended reading by the FBI Forensics Communications the United States Certified reading room. The book features free downloads of the latest forensic software, so students become familiar with the tools of the trade. Interaction design : beyond human-computer interaction, 2nd ed. The classic text, “Interaction Design” by Sharp, Preece and Rogers is back in a fantastic new 2nd Edition! This edition includes new features such as: completely updated to include new chapters on Interfaces, Data Gathering and Data Analysis and Interpretation, the latest information from recent research findings and new examples; now in full colour; a lively and highly interactive Web site that will enable students to collaborate on experiments, compete in design competitions, collaborate on designs, find resources and communicate with others; and, a new practical and process-oriented approach showing not just what principals ought to apply, but crucially how they can be applied. The Information Society” that we live in today is largely driven by the products and services that either contain software as a core element, or are themselves software. At the very least, it is likely that most of those same products and services were manufactured with the help of some type of sophisticated software applications. Because of that, as well as the stresses of navigating through a truly global economy, the skills of software developers and engineers are being pushed to the limit. As a result of those growing complexities, it has become imperative that software engineers and developers understand the methods, tools and techniques for identifying, documenting and validating the requirements of complex systems. In turn, more emphasis is now being placed on Requirements Engineering and the role it plays in today’s Information Society. Because of that, Requirements Engineering has now transcended its traditional role within software development and become an integral part of software engineering. Requirements Engineering for Socio-Technical Systems provides a comprehensive view of many of the system requirements for some of the hottest areas in development today. 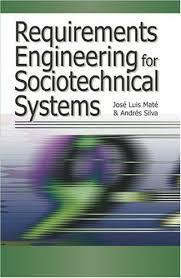 In addition, readers with understanding of human factors and social issues embedded within the development of socio-technical systems. 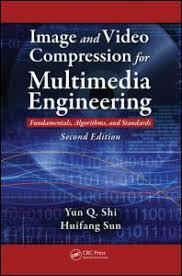 Image and video compression for multimedia engineering : fundamentals, algorithms, and standards, 2nd ed. Multimedia hardware still cannot accommodate the demand for large amounts of visual data. Without the generation of high-quality video bitstreams, limited hardware capabilities will continue to stifle the advancement of multimedia technologies. Thorough grounding in coding is needed so that applications such as MPEG-4 and JPEG 2000 may come to fruition. Image and Video Compression for Multimedia Engineering provides a solid, comprehensive understanding of the fundamentals and algorithms that lead to the creation of new methods for generating high quality video bit streams. The authors present a number of relevant advances along with international standards. Author Jens Jacobsen, Tilman Schlenker, and Lisa Edwards. “Implementing a Digital Asset Management System” teaches you that DAM is more than just technology, and covers all the essentials including workflow, teamwork, testing, quality assurance, demo version production, and versioning. Product neutral, this book is for computer-based media productions large and small, with hardware and software selection and configuration recommendations for a wide variety of project types.This is a must read for anyone who wants to run a profitable and successful computer-based media production. It teaches how to improve workflow, digital content security, speed-to-market and profit margin for projects large and small. It is written by the team that created the DAM system for such hits as Monsters Inc. and the video game Medal of Honor. The Java™ programming language can be challenging for novice computer programmers with limited experience in object-oriented programming. To ease students into Java, Programming with Alice and Java intertwines the ideas of object-oriented programming in both languages. Programming in Alice is explored first to establish fundamental principles and skills using 3D animations in a fun, visually rich environment. The remaining chapters implement concepts in the Java programming language using interesting examples and drawing parallels between the two languages to keep students engaged. This practical guide for developing winning interviewing skills has been fully updated and revised to focus on today’s most sought-after IT jobs. Go behind the scenes of the IT interview process and get inside the mind of potential employers. You’ll find out how to make a great first impression and stand out from the competition. Ace the IT Interview features hundreds of questions that are likely to come up on your next technical interview along with key points to include in your answers so you can practice your responses based on your strengths and experience. Present yourself as a truly valuable IT professional and get a great job with help from this real-world guide. Place of Publication Hoboken, N.J. .
Design for Lean Six Sigmais the only book that employs a “road-map” approach to DFSS, which allows corporate management to understand where they are in the process and to integrate DFSS methodology more fully into their overall business strategy. This is a similar approach to that used by Forrest Breyfogle in his successful book: “Implementing Six Sigma, 2E”. This approach will allow corporate management to understand where they are in the process and to integrate DFSS methodology more fully into the overall business strategy. Another important aspect of this book is its coverage of DFSS implementation in a broad range of industries including service and manufacturing, plus the use of actual cases throughout. Designing distributed computing systems is a complex process requiring a solid understanding of the design problems and the theoretical and practical aspects of their solutions. 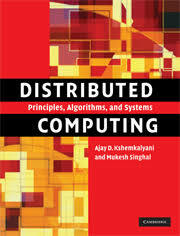 This comprehensive textbook covers the fundamental principles and models underlying the theory, algorithms and systems aspects of distributed computing. Broad and detailed coverage of the theory is balanced with practical systems-related issues such as mutual exclusion, deadlock detection, authentication, and failure recovery. Algorithms are carefully selected, lucidly presented, and described without complex proofs. Simple explanations and illustrations are used to elucidate the algorithms. 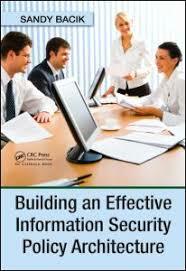 Important emerging topics such as peer-to-peer networks and network security are also considered. With state-of-the-art algorithms, numerous illustrations, examples and homework problems, this textbook is suitable for advanced undergraduate and graduate students of electrical and computer engineering and computer science. 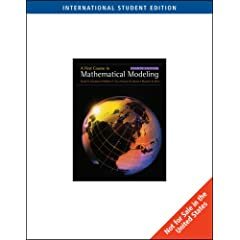 A first course in mathematical modeling, 4th ed. A comprehensive text whose primary purpose is to support an introductory modelling course that bridges the gap between calculus and real-world applications of mathematics. The authors show students how to use fundamental mathematical concepts in a modelling framework to investigate practical problems from many academic disciplines. All phases of the modelling process are thoroughly explained and students are given opportunities to practise creative and empirical model construction, model analysis and model research through numerous problems and projects. Special emphasis is given to identifying problems, constructing or selecting models and determining what data needs to be collected. This book should be of interest to introductory modelling courses for degree and diploma students of the mathematical sciences, operations research, engineering and the management and life sciences; a basic understanding of single-variable differential and integral calculus is a prerequisite. A guide for security professionals, Building an Effective Information Security Policy Architecture explains how to review, develop, and implement a security architecture for any size enterprise, whether it is a global company or a SMB. Through the use of questionnaires and interviews, the book demonstrates how to evaluate an organization’s culture and its ability to meet various security standards and requirements. Because the effectiveness of a policy is dependent on cooperation and compliance, the author also provides tips on how to communicate the policy and gain support for it. Suitable for any level of technical aptitude, this book serves a guide for evaluating the business needs and risks of an enterprise and incorporating this information into an effective security policy architecture. This important new work fills the pressing need for a user-friendly text that aims to provide software engineers, software quality professionals, software developers, and students with the fundamental developments in testing theory and common testing practices. For the last 50 years, the power of integrated circuits has continued to grow. However, this performance will end up reaching its physical limit. What new ways will then be available to develop even more powerful and up-to-date systems? This book introduces the principles of quantic computing, the use of nano-tubes in molecular transistors and ADN computing. It suggests new fabrication methods for the 21st century and introduces new architecture models, ranging from the most conventional to the most radical. Using a chronological theme, it explains our unavoidable entry in the nano-device world: from the 1948 transistor to the microchip. It concludes by anticipating the changes in daily living: investments, impact on coding activities, nanocomputing systems implementation and IT job mutation. 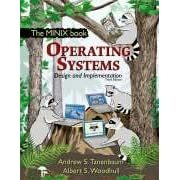 Operating systems : design and implementation, 3rd ed. In an age of ubiquitous computing it is essential that Interaction Design be based on the rich foundation of HCI research and knowledge. The Resonant Interface does that and more. It moves beyond the traditional scope of human-computer interaction (HCI) and is based on the concept of active learning that integrates theory and practice. Using Computers: Interaction Paradigms; Interaction Frameworks and Styles. Designing Interaction: Interaction Design Process; Discovery; Design; Design Principles; Interaction Design Models; Usability Testing. Facets of Interaction: Color; Interface Components; Icons; Text; Speech and Hearing; Touch and Movement. 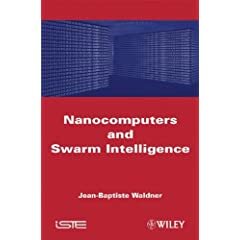 For all readers interested in human-computer interaction (HCI). Written in a friendly and easy-to-understand tone, Computer Security Assurance Using the Common Criteria helps readers navigate through all the activities within the Common Criteria (CC) that have gained the attention of the security community and will revolutionize how people compare, select, purchase, and maintain security systems. Practical examples aimed at deciphering the contents and activities within the CC help build an understanding that places readers on a path to real-world security assurance applications. Up-to-date coverage explains IT security assurance methodologies and the activities within any of the CC-defined user roles that are necessary for high quality and proven secure IT software and hardware. Place of Publication Sudbury, Mass. Updated to follow the recommendations put forth by the ACM/SIGCSE 2001 task force, Analysis of Algorithms, Second Edition raises awareness of the effects that algorithms have on the efficiency of a program and develops the necessary skills to analyze general algorithms used in programs. The text presents the material with the expectation that it can be used with active and cooperative learning methodology, based on the premise that students learn more effectively and retain more information longer when they are active participants in the learning process. To accomplish this, the chapters are clear and complete to encourage students to prepare by reading before class, and the text is filled with exciting examples and exercises that look at the efficiency of various algorithms to solve a problem. The author is well known for workshops that he presents on the active learning model. He has written an instructor’s manual that helps instructors understand how to present the material in an “active” way. Concurrency : state models & Java programs, 2nd ed. Concurrency provides a thoroughly updated approach to the basic concepts and techniques behind concurrent programming. Concurrent programming is complex and demands a much more formal approach than sequential programming. In order to develop a thorough understanding of the topic Magee and Kramer present concepts, techniques and problems through a variety of forms: informal descriptions, illustrative examples, abstract models and concrete Java examples. These combine to provide problem patterns and associated solution techniques which enable students to recognise problems and arrive at solutions. Computer animation : algorithms and techniques, 2nd ed. Hardbound, liberally illustrated, and with an eight-page color gallery, there are six chapters and three appendices. The book starts with an overview of animation and works through some technical background information, and then delves into interpolation and basic techniques for representing 3-D motion and space on a 2-D display. Later chapters walk through advanced algorithms (kinematics, rigid body simulation, constraints) and then a discussion of ways to represent natural phenomena. There’s also a focus on modeling and animating articulated figures. It’s important to note that these chapters are not about which buttons to push in a given software package, but rather about the use and explanation of formulas for representing a specific simulation. 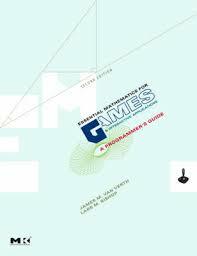 Essential mathematics for games and interactive applications : a programmer’s guide, 2nd ed. Essential Mathematics for Games and Interactive Applications, 2nd edition” presents the core mathematics necessary for sophisticated 3D graphics and interactive physical simulations. The book begins with linear algebra and matrix multiplication and expands on this foundation to cover such topics as color and lighting, interpolation, animation and basic game physics. “Essential Mathematics” focuses on the issues of 3D game development important to programmers and includes optimization guidance throughout. The new edition Windows code will now use Visual Studio.NET. This book is a collection of carefully selected papers presenting the fundamental theory and practice of various aspects of biometric data processing in the context of pattern recognition. The traditional task of biometric technologies – human identification by analysis of biometric data – is extended to include the new discipline of biometric synthesis. Although traditional texts present isolated algorithms and data structures, they do not provide a unifying structure and offer little guidance on how to appropriately select among them. Furthermore, these texts furnish little, if any, source code and leave many of the more difficult aspects of the implementation as exercises. A fresh alternative to conventional data structures and algorithms books, A Practical Guide to Data Structures and Algorithms using Java presents comprehensive coverage of fundamental data structures and algorithms in a unifying framework with full implementation details. Recognizing that software development is a top-down process, this applications-centered book provides careful guidance to students and practitioners. Mathematical optimization is used in nearly all computer graphics applications, from computer vision to animation. 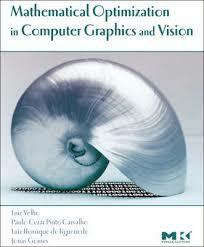 This book teaches readers the core set of techniques that every computer graphics professional should understand in order to envision and expand the boundaries of what is possible in their work. Study of this authoritative reference will help readers develop a very powerful tool- the ability to create and decipher mathematical models that can better realize solutions to even the toughest problems confronting computer graphics community today. 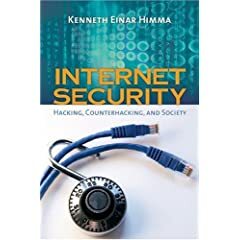 This book is a modern survey of the recent ethical policy issues arising in connection with the Internet and network security. This exciting collection of papers, articles, and monographs discusses a number of important ethical questions arising in many distinct areas of the Internet and network security. Introducing the Theory of Computation is the ideal text for any undergraduate, introductory course on formal languages, automata, and computability. The author provides a concise, yet complete introduction to the important models of finite automata, grammars, and Turing machines, as well as undecidability and the basics of complexity theory. Numerous problems and programming exercises, varying in level of difficulty, round out each chapter and allow students to test themselves on key topics. Answers to selected exercises are included as an appendix and a complete instructor s solutions manual is available on the text s web site. Logic and computer design fundamentals, 4th ed. For one- to two-semester Computer Science and Engineering courses in logic and digital design. Featuring a strong emphasis on the fundamentals underlying contemporary logic design using hardware description languages, synthesis, and verification, this book focuses on the ever-evolving applications of basic computer design concepts with strong connections to real-world technology. Finite element analysis : theory and application with ANSYS, 3rd ed. For courses in Finite Element Analysis, offered in departments of Mechanical or Civil and Environmental Engineering. While many good textbooks cover the theory of finite element modeling, this is the only text available that incorporates ANSYS as an integral part of its content. Moaveni presents the theory of finite element analysis, explores its application as a design/modeling tool, and explains in detail how to use ANSYS intelligently and effectively. Computer science : an overview, 10th ed. Students and instructors alike continue to praise the broad coverage and clear exposition that Computer Science: An Overview uses to present a complete picture of the dynamic computer science field. Accessible to students from all backgrounds, Glenn Brookshear uses a language-independent context to encourage the development of a practical, realistic understanding of the field. The Tenth Edition employs several world-renowned experts in respective fields to ensure that coverage reflects cutting-edge technology and appeals to today’s students. 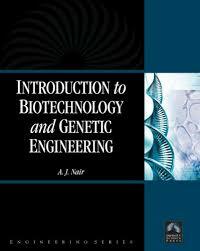 Timely topics such as bioinformatics and artificial intelligence engage students, and the text provides coverage of foundational hardware topics like data representation and storage, machine architecture, and machine language. 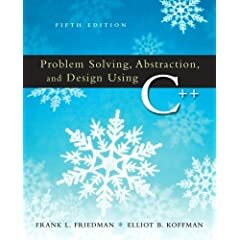 Problem solving, abstraction, and design using C++, 5th ed. Problem Solving, Abstraction, and Design Using C++ presents and reinforces basic principles of software engineering design and object-oriented programming concepts while introducing the C++ programming language. The hallmark feature of this book is the Software Development Method that is introduced in the first chapter and carried throughout in the case studies presented. Java 6 illuminated : an active learning approach, 2nd ed. With a variety of interactive learning features and user-friendly pedagogy, Java 6 Illuminated, Second Edition provides a comprehensive introduction to programming using the most current version in Java programming. Throughout the text the authors incorporate an active learning approach which asks students to take an active role in their understanding of the language through the use of numerous interactive examples, exercises, and projects. Object-Oriented Programming concepts are developed progressively and reinforced through numerous Programming Activities, allowing students to fully understand and implement both basic and sophisticated techniques. In response to students growing interest in animation and visualization the text includes techniques for producing graphical output and animations beginning in Chapter 4 with applets and continuing throughout the text. You will find Java 6 Illuminated, Second Edition comprehensive and user-friendly. Students will find it exciting to delve into the world of programming with hands-on, real-world applications! ASCE, ASME, ASTM online journals are now available! Ms. Sharon Ma. S. Esposo accepts her award for the Gawad Chanselor Para sa Natatanging REPS (Professional Staff) with UPD Vice Chancelor for Research and Development Dr. Luis G. Sison and UPD Chancelor Dr. Sergio S. Cao (left to right) together with Ms. Salvacion M. Arlante of the Main Library and Dean Rowena Cristina Guevara of the College of Engineering(right to left). Gawad Chanselor’s Natatanging REPS (Professional Staff) awardees with UPD Chancellor Dr. Sergio S. Cao (leftmost) and Vice Chancellor for Research and Development Dr. Luis G. Sison (rightmost).